You can encrypt your documents directly from Google Drive online by just choosing “open with Prot-On”. Once protected, if you open again the file, you can set up the permissions of the file to define who can access it and what can they do. 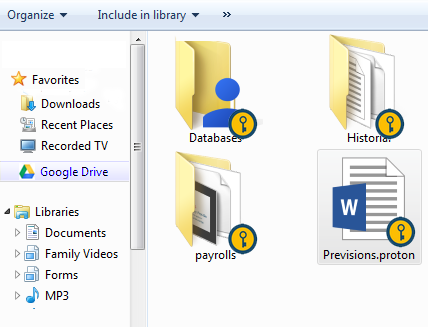 Also, you can protect your files or your folders on your Google Drive desktop. Keep your documents protected in the Cloud services. You can work from different devices safely. 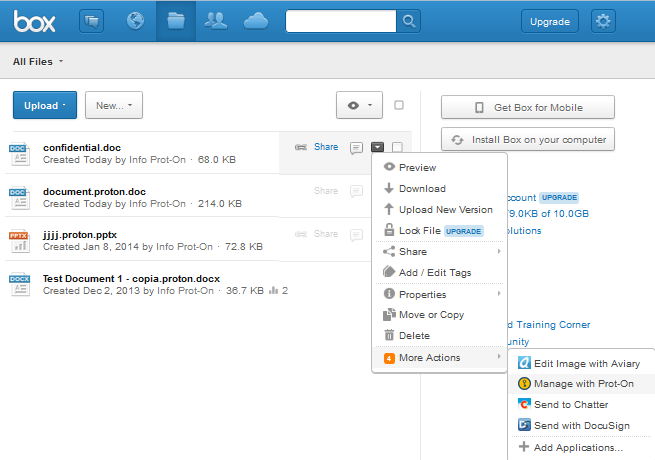 Prot-On allows you to protect your files and manage file permissions without leaving Box. 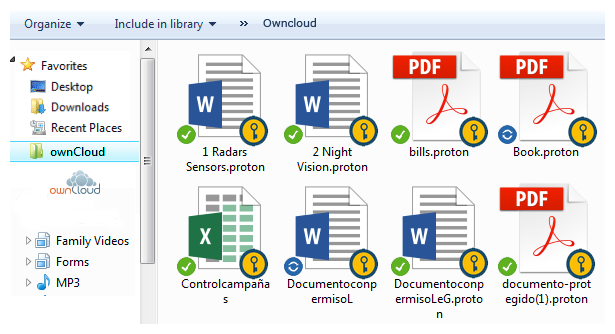 In addition, if your Box account is a Business or Enterprise the link that Prot-On creates for the user will take them directly to our online viewer Drag´n Drop and let them see the document without having to download the application to their PC. 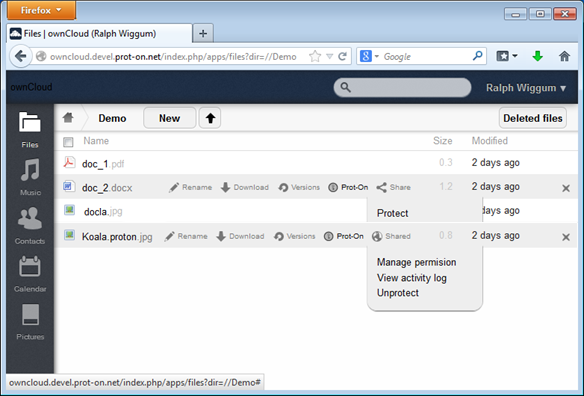 Prot-On will appear as a new menu option within OwnCloud so that you can protect and manage file permissions without leaving the application.